Take a look at these recycling stats and see if you want to shout the same obscenities that we do. 1. Half of all trash is recyclable, but only about 32% is recycled. 2. One gallon of paint can contaminate 2,500,000 gallons of drinking water if it isn’t recycled. Yum. 4. One-third of most landfills is packaging material. 5. Americans throw away 35 billion plastic water bottles each year. BILLION. Yikes. 6. Each person tosses about 4.4 pounds of trash per day (to compare, the average toilet sees less waste per person per day). 7. If each person in the US recycled just two pages of their newspapers, 25 million trees would be saved each year. Or you could recycle the whole thing and be a hero to the birds and squirrels. 9. Americans use 1 billion plastic shopping bags every year. 10. Glass in landfills will never decompose—it just breaks up and becomes smaller (wear your shoes!). 11. About 10 million tons of electronics are (illegally) tossed out every year. Recycling those could power 3,000 houses and the devices inside. Everyone wins! 12. It takes over a ton of water and 539 pounds of oil to make one computer. 13. Plastic takes 1,000 years to degrade in a landfill. Think of it this way: if a Viking chucked a Dasani bottle when they were first checking out North America, we could still see it today. 14. 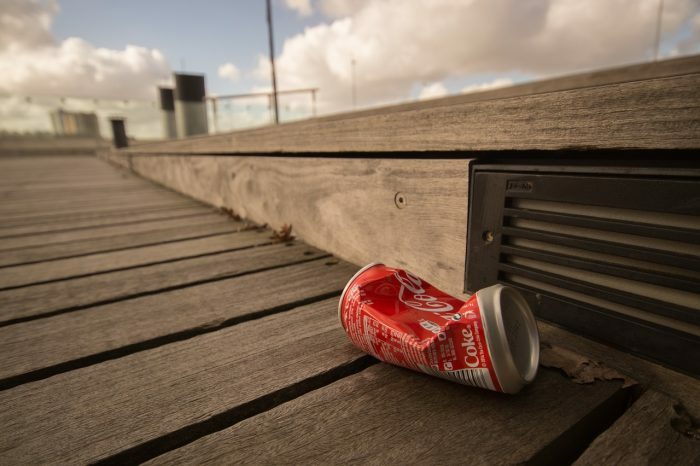 Every year, Americans use 2.7 million tons of aluminum, but only half is recycled. (Come on guys, that’s like recycling 101). No matter how evil you are, you can still do your part. Bold North Bonus Stat: About 75% of Minnesota trash is paper, plastic, metal, glass, and organics—all of which could be recycled.